The scarlet macaw is a large red, yellow, and blue South American parrot, a member of a large group of Neotropical parrots called macaws. It is native to humid evergreen forests of tropical South America. Range extends from south-eastern Mexico to the Peruvian Amazon, Colombia, Bolivia, Venezuela and Brazil in lowlands. 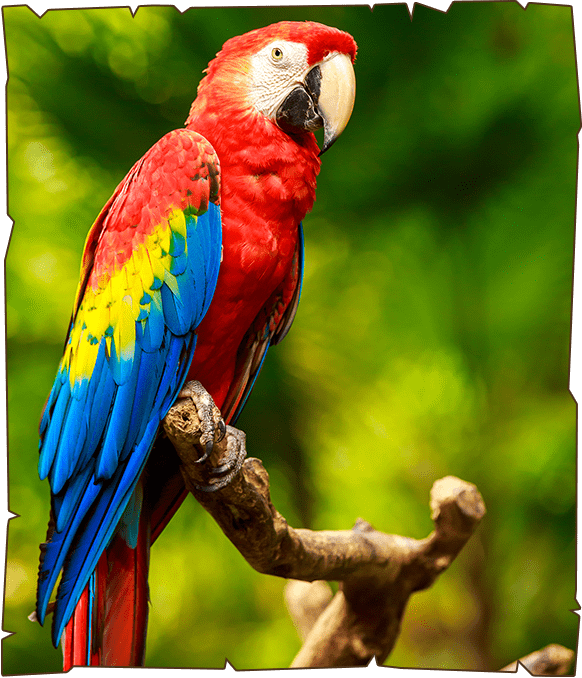 The scarlet macaw can live up to 75 years in captivity, although a more typical lifespan is 40 to 50 years. A typical sighting is of a single bird or a pair flying above the forest canopy, though in some areas flocks can be seen. Scarlet macaws communicate primarily through raucous honks; however, vocal communication is highly variable, and captive macaws are known to be adept mimics of human speech.